Beautiful truck. I’m getting mine this summer. Hopefully find one the same color. I have this truck in race red mine is 4wd and I run a tuner, cold cold air induction and a bigger throttle body.. She's definitely a sleeper truck now. 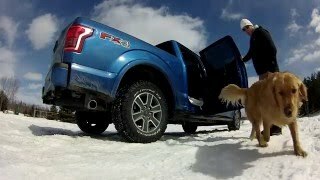 Why would anyone what a two wheel drive truck ? I have no need for a 4x4... not going offroad, don't tow, and rarely get any measurable snowfall in eastern NC. Two wheel drive saves me money on the purchase price, insurance cost, and mpg. 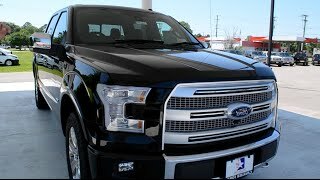 Depends on the option package you choose for the Lariat, but when I bought this XLT the Lariats were stickered around $4,000 - $6,000 more. Do you sill have it? If so hows it going? Scott M Great truck. Never had a problem, but I dont really NEED a truck, so I recently traded it for a new Honda Accord. Nice color, dont care for the grill though. Bill Wellford Thanks man! I have a regular cab so having a real place to toss groceries and stuff without them getting all dirty is a must. I’ll be going with a spray on bedliner instead of a carpet though. jwiley50 I bought mine through a local dealer, but I've also seen it available online including on Amazon. I spent 25years in the military, so when I hear “military grade”I think lowest bidder lol, no but seriously there is no such thing as military grade aluminum it’s just a thing truck companies like to say.....all that aside I love the truck I’m just not a fan of the short box. 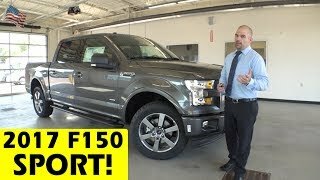 I've been over f150 videos I'm debating wether or not to purchase one any takes? Feedback? It's a great truck. I got to drive the 2.7L eco today and boy does it pack a punch. Unless you're gonna tow very heavy stuff, or plow snow this truck has plenty of power. 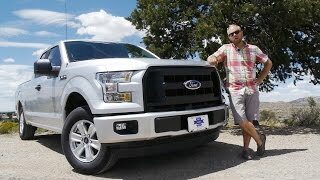 Its comfortable, nothing douchy, just a good truck to get you decent gas mileage and hauling. I just purchased one a week ago. You will find all the excuses in the world to get back in it and start driving. I skimmed through the video but mine came with a tow/sport mode. 0-60 in 5.5-5.9 seconds i believe. Lots of power with a luxury look inside. Not a ford guy, but I really love this truck. Damn! the layout is great. How is it treating you? Damn! I'm glad to hear that. 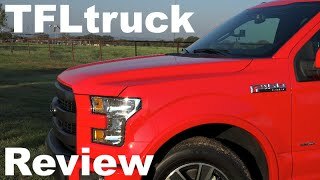 It is a really nice truck. Might have to consider looking Fords way for my next truck. Plus those mpg numbers are impressive. good luck with it! Anthony Caruso - Lovin' it.. after about 10 months and 11,000 miles, its rock solid. Comfortable ride, power on demand, still averaging 22-23 mpg overall with the 2.7L Ecoboost. 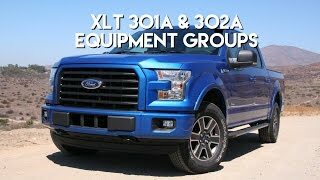 I got the Metallic Gray XLT Sport with the 5.0 and FX4. These trucks are bad to the bone! Ruby Red is sweet but I think I might like this gray color a bit better! I've got just over 6,000 miles on it now. I have one trip odometer that I have never reset which shows my total average MPG since I bought the truck which is between 22-23 MPG (combined city/highway). I normally drive 75 mph on the interstate which brings the mileage down a bit, but I recently did a highway mileage test on a 30 mile stretch of road with a 55mph speed limit. I drove 60mph and averaged between 28-29 MPG. 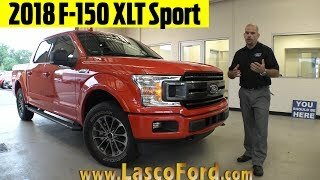 Thanks for the info....I just bought the Ruby Red sport 4x4 thanks for the information! Bill Wellford In reply to Bigmix + ?=? Your welcome, glad you found it helpful. I have the same truck same color. Everything 4x4 and I also have a bak flip cover. I have the bak flip VP. Also in town driving I get 18 mpg. 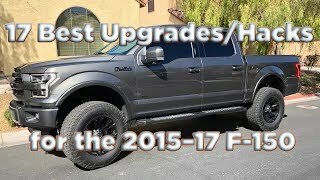 The 2.7 Ecoboost is great. Thanks, Kyle. I'm very happy with my truck and the 2.7L is a very versatile engine. Great mileage when you want it, plenty of power when you need it. Unless you need to do some heavy-duty towing, I don't know why you'd need anything else. Does the tailgate lock with your bedcover? +Bill Wellford thanks! this is close to the trim I want...basically I want the 4x4 of your truck. don't need a 4x4, but I always wanted one! Yes, the tailgate locks and unlocks remotely with the key fob. The Bakflip F1 bedcover is divided into hinged sections. Each section has spring loaded latches that lock into place when closed. They can only be unlatched by reaching underneath and pulling the release on each section. So, when the tailgate is closed and locked, and the bed cover is latched shut, there's no way to get into the bed without unlocking and opening the tailgate first... that's the only way to access the latches... unless you just attack the bed cover with a crowbar. Great video. 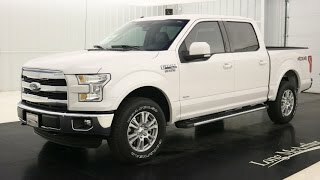 This is the exact truck I wanted to order from my local dealer, but they wanted to sell me a 4wd and expensive navigation system and wouldn't take my order. May I ask what dealer you ordered from? 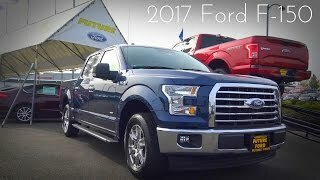 I bought the truck from Capital Ford in Raleigh, NC... but I actually found the truck while going through their website inventory. 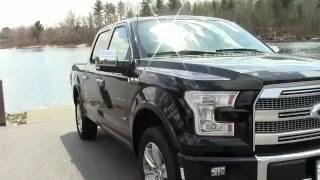 When I made the deal for this truck (over the phone) they had to bring it in from one of their sister dealerships from the western part of the state. I will add that when I first started talking to their "Internet salesman" I had something very specific in mind, and they were willing to order exactly what I wanted. 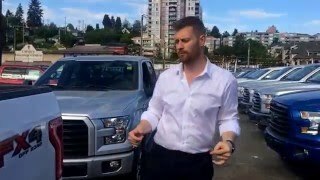 However, having spent a little time as a car salesman myself, I knew I could get a better deal if I negotiated for one that was already on the lot. I settled for a little less than I originally planned to get in the way of options (tailgate step, 20" wheels, larger gas tank), but in the end I saved a lot of money and haven't missed any of those other options. 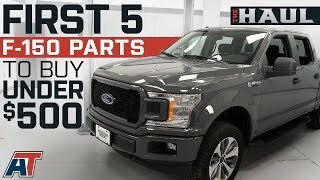 I have the same exact truck but with the 5.0.... Best combination ever in terms of looks and value !! I'd say go for a tune that gives more power and uses less fuel and won't harm the motor! +Jared Consolo do you recommend any ?? only thing is that im worried it might harm the engine ! 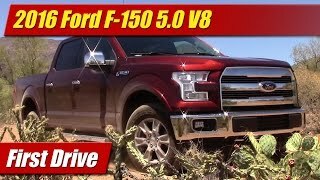 That 5.0 is narly! Any mods in the future? Love the color on that truck. Great looking rig! 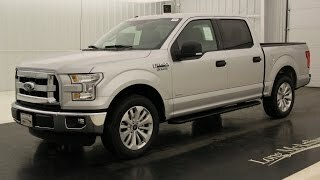 I think I've been spoiled, I bought my first F-150 recently and it a 2013 crew cab long bed. 6'1/2 is just that much more useful and this is first truck, after 2 months, I can now park this thing like BOSS!! LOVE IT! I can't imagine... mine has the 5 1/2 foot bed with the Super Crew cab and it's HUGE. It will barely fit in my garage (lengthwise) and the roofline is so high that I can't see the top of the cab (no lift kits, and I'm 6'2"). I'm not scared of handling a big vehicle. 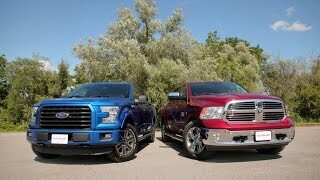 I drive an 18-wheeler for a living, but parking lots sure have become tight since I bought my 2016 F-150. Ruby Red was my other choice. I would have taken either one, but I was willing to take whichever one I could get the best deal on... Ruby Red was at a competing dealer, but with more options and a higher price (I AM on a budget). The Bakflip is a "no-drill" install so it's not difficult, especially if you've installed other similar covers. This was my first, so I just had the local shop that I purchased it from handle the installation. I'm sure I could have done it myself if I had to. Two questions: (A). 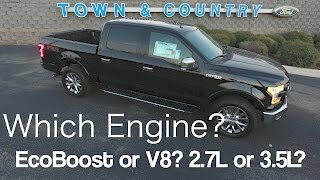 Is this the V8 or V6 model? I noticed in a reply you said you're getting 23/27. The V6 would only get that, based on what I saw, so.....V6? (B). Your bed cover....what was the price on that? I may have missed the part where you gave the model, but may I please have that and the price if you didn't say it? Thanks good sir. As I mentioned in the video, this has the 2.7 liter V-6 twin Turbo, which puts out 325 hp and 375 lb ft of torque. 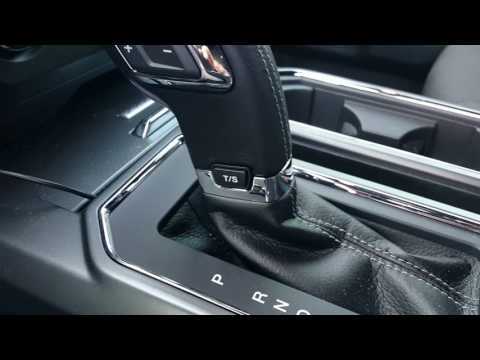 Full torque is reached at 3000 rpm, so the maximum acceleration and power band has a very broad range. 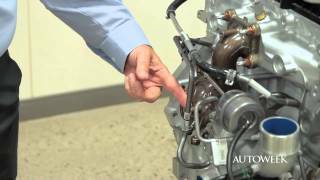 It provides the kind of low-end torque you would expect from a diesel. Of course, if you drive it hard like that you won't see the mileage numbers I reported. The bed cover is made by Bakflip. I have the F1 model. The Bakflip F1 is incredibly sturdy and is the top of the Bakflip lineup. Prices vary depending on on where you buy it, but you should be able to pick one up for around $900 or so. 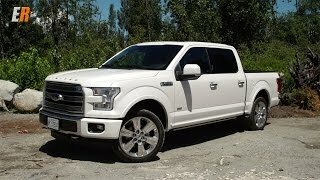 2016 Ford F-150 Limited - Is this the only vehicle you need?